My Top Favorite (Amazing) Best Saunas for Home Use! Are you looking for the best and most beautiful saunas for home? The best home saunas will usually achieve temperatures of at least 140F. Using a sauna is a great way to relax after an intense workout and loosen up your sore muscles! It also burns around 300 calories per 20 minutes! You can usually stay inside for about 10 or 15 minutes at a time and you need to drink at least 2 full glasses of water after you use it. I was able to find the most beautiful outdoor and indoor saunas for sale! I especially love the barrel style outdoor saunas! 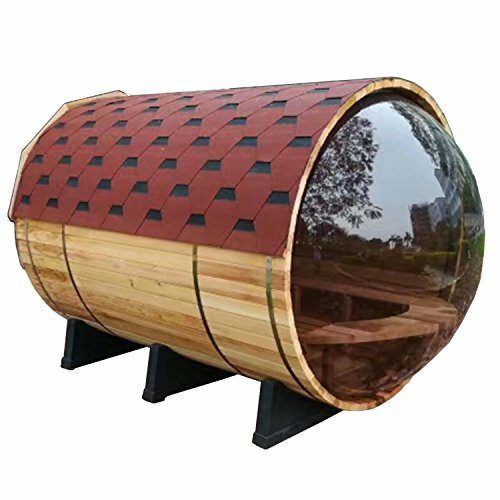 *The gorgeous one in the picture above is a 7-person barrel-shaped wet and dry outdoor sauna all made from solid pine wood! How about treating your wife to a beautiful sauna in your home? 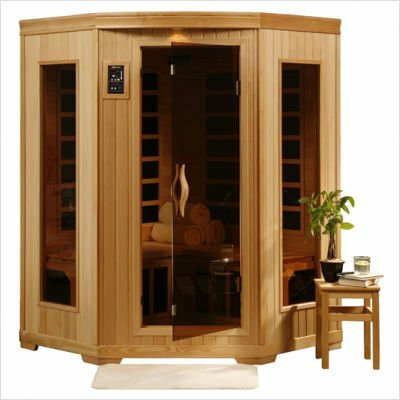 This is a fantastic 3 person residential sauna with chromotherapy! The red cedar wood is also very resistant to mold, it is anti-fungal and it smells great! It also has an electronic oxygen ionizer to keep the air nice and fresh inside. The corner fitting is perfect not to occupy a lot of space. Gorgeous 4 Person Corner Sauna for Home! This is a large 4 person sauna with infrared carbon heaters and CD player! Perfect for the whole family using it together! It also has *color therapy lights that allow you to rotate beautiful colors or choose a steady stream of one color. I love that! **’Color therapy’ or chromotherapy is the science of using colors on our ‘energy points’ and improve our body vibrations with the goal of promoting better health and peace… Each color has a different ‘vibration’ and therefore will help address a specific issue. This gorgeous 4 person sauna for home also includes comfortable ergonomic backrests inside and very easy to adjust control panels! It also heats up ultra-fast, so you can start enjoying it right away with your friends! Happy buyers say they should have bought one of those a long time ago! This is a cute and affordable compact 2 person home sauna for sale! It also comes with fun lights and music and it is very attractive, warm, comfy, easy to assemble and it smells great! Can you imagine having this beauty in your home? It also comes with a radio and CD player with internal speakers! (I know you are seeing yourself in there already sweating while listening to your favorite songs! Is that the ultimate gift idea for couples or wives or what? The Most Beautiful Indoor Home Saunas! 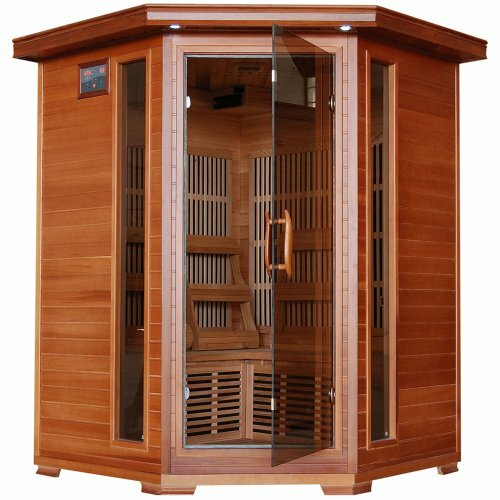 What a beautiful and fairly affordable compact size 3 person indoor sauna for sale! 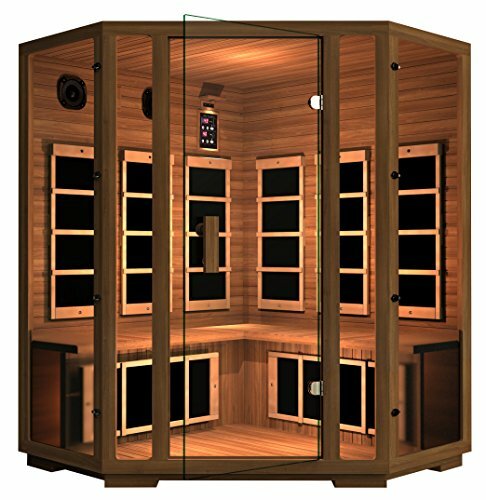 This indoor sauna comes complete with towel, magazine racks, radio, CD player, MP3 plug-in, cbackrestsrests and color therapy lights! It also has an oxygen ionizer for cleaner sauna air! 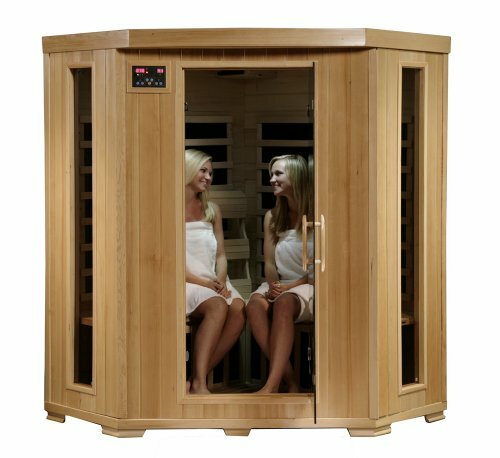 What a cute wooden corner infrared sauna for 4 people! It is very cozy and very roomy inside! It looks just like a cute ‘mini-house’! Very sturdy built, with a double wall insulation. It comes with LED lights and a premium sound system! This could be the best anniversary gift ever!! 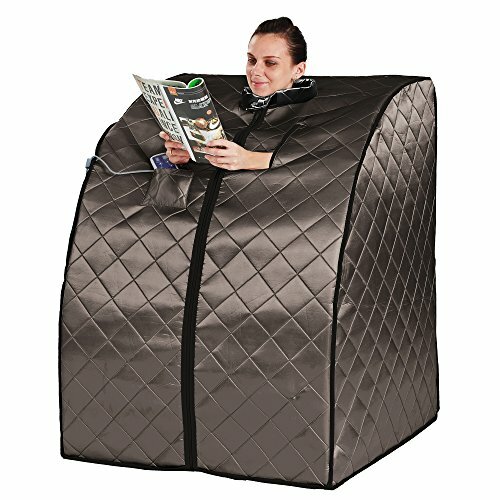 Fun Portable Sauna for Sale! As you can see your whole body is inside and just your head is out! It is a great natural pain reliever and great to improve blood circulation! Also great for the flu, colds, sinus problems and back pain! 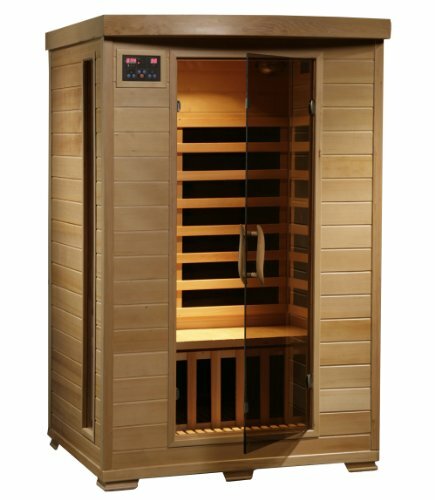 It is very affordable and perfect to use while you save your money for a wooden indoor home sauna! Here is a doctor talking about the real health benefits of using a sauna at home.